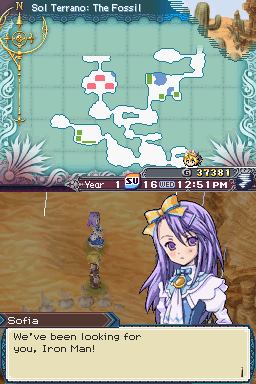 OverviewThe 3rd installment of the Rune Factory Franchise on the Nintendo DS. Simply put, this game is awesome. 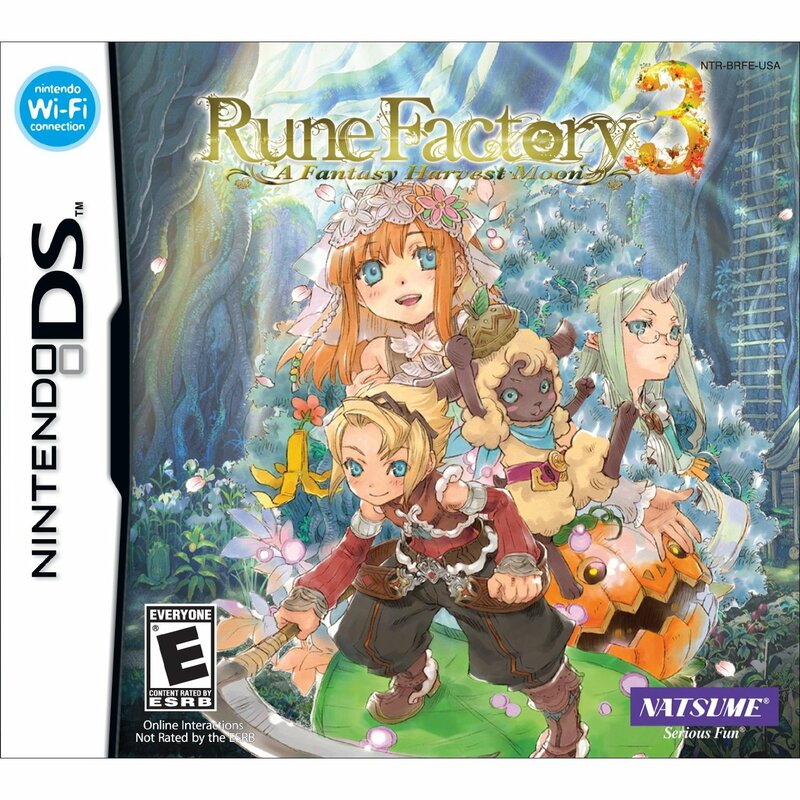 It features a great story, beautiful graphics, and gameplay that was greatily improved from RF2. 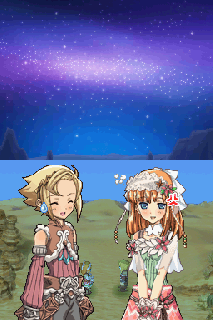 Also, unlike it's predecessors, this game gives you a long, unrepetitive experience and a storyline you can take at your own pace. 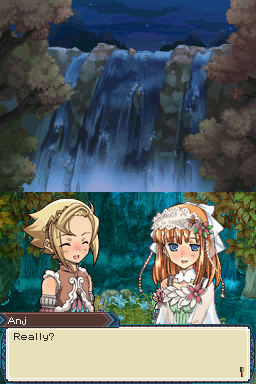 And after you complete the main plot, there are many secrets and treasures left to find. 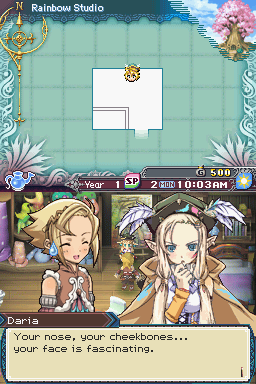 So far, this game has lasted me 40 hours and it's still fun. 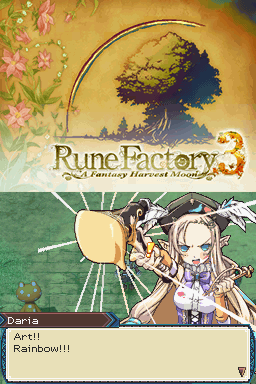 A crossover of the ever-popular video game series, Harvest moon comes with a twist with an RPG-like style of gameplay: Rune Factory. 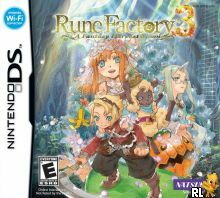 The third installment of the Rune Factory Series, you play as Micah;(default name) a young man with amnesia who arrives at the humble town of Sharance; unknown of his origins and his identity, he settles in Sharance Town with anticipation of regaining his memories. Battle monsters, craft items, ame monsters, tranform into your monster form, fall in love and many more! Like others have said you are a boy who is suffering amnesia. As the story progresses you learn more & more about yourself. 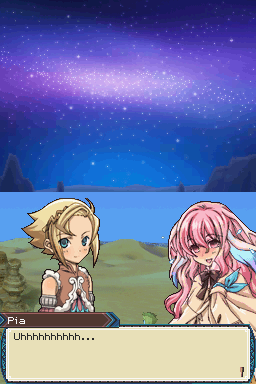 This game is truly magnificent. 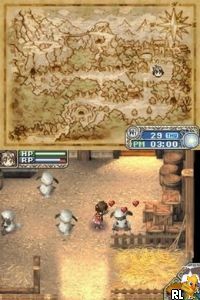 It has GREAT combat, the best story I've seen on a DS yet and much, MUCH more great apects. 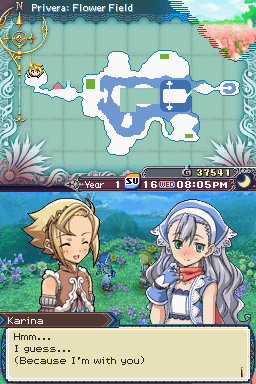 I've already put 70+ hours in it and I'm still not bored, I even have multiple save files..
You awake to find yourself in a new town with no memory of who you are. It's your job to till the land, grow your crops, raise animals, catch fish, and battle monsters in an effort to build a new life for yourself. Build skills and learn magic as you save your neighbors from monstrous threats and uncover the secrets of your forgotten past. 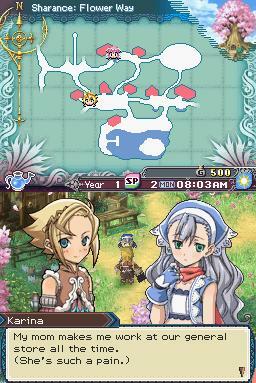 You can befriend monsters to help on your farm and even transform into a monster if needed. Upgrade your skills as you travel through this RPG adventure. You can master swords, spears and other weapons to defeat your enemies. Now you can add videos, screenshots, or other images (cover scans, disc scans, etc.) 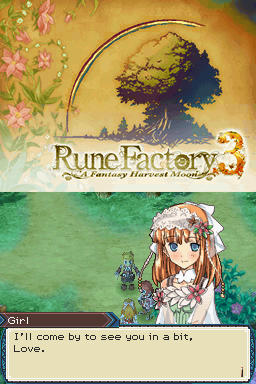 for Rune Factory 3 - A Fantasy Harvest Moon (U) to Emuparadise. Do it now! If you haven't noticed yet, we have a retro game of the day feature (top-right of the screen) wherein we feature a new retro title every single day! Now, you can vote for your favorite games and allow them to have their moment of glory. Click on the button below to nominate Rune Factory 3 - A Fantasy Harvest Moon (U) for Retro Game of the Day.